Interlocking chevron graphs in 2 variations. This pattern also includes a table for a single spiral chevron. 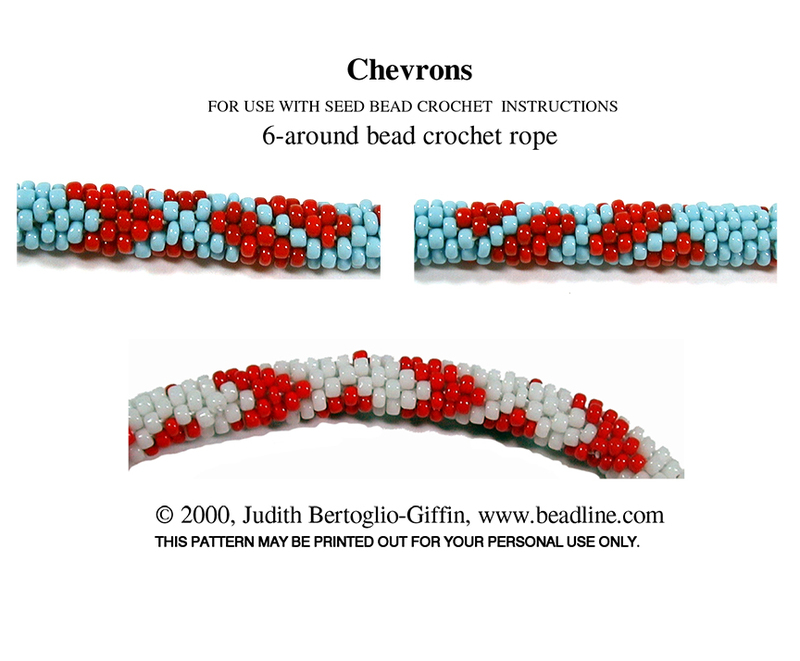 Make the background matt black and the chevrons in primary opaque beads and you have a man's bracelet or choker.